Samsung has set its sights on making £10 billion from the UK and Europe for 2007. The South Korean electronics giant has been heralding its increasing success in the UK and Europe having gained substantial profits from the regions. Samsung made 9.85 trillion won (£5 billion) from the UK and Europe in 2002, accounting for 16.8 per cent of the company's total Worldwide revenue. According to The Korean Herald , that rose to 12.96 trillion won (£7 billion) in 2003, and to 17.84 trillion won (£9 billion) in 2004. Samsung has now set its sights on a £10 billion target for 2007. "The UK and Europe now accounts for about 25 per cent of the company's total revenue," said a spokesperson for Samsung Korea . The company also launched a line of refrigerators in the UK, Germany and Italy. Samsung now leads that market in those countries. 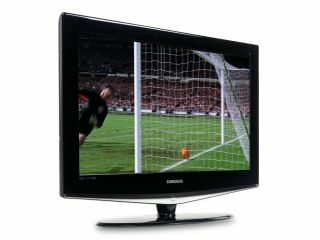 Samsung recently became Europe's largest LCD manufacturer after taking the crown from Sharp.